Well Tribal Knights is wasting no time. 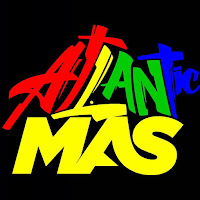 A quick visit to their website revealed that they have already announced their theme for Caribana 2010. 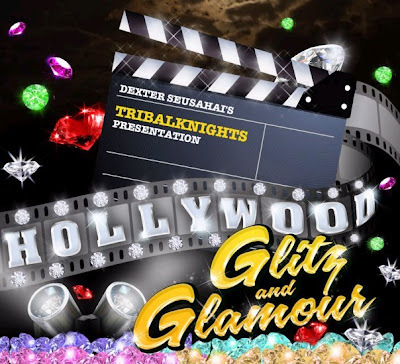 Tribal Knights' 2010 presentation is entitled HOLLYWOOD GLITZ AND GLAMOUR. Looking forward to seeing the designs!!! 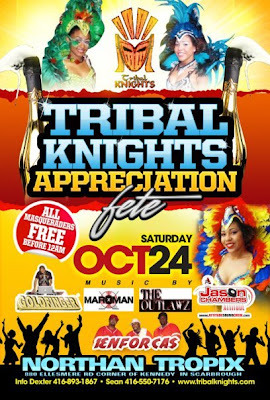 In the meantime, Tribal Knights' Appreciation Fete will take place on Saturday, October 24th, 2009 @ Northern Tropix, 880 Ellesmere Road, Scarborough. All Tribal Knights members are free before 12 and $15 afterward for everyone!